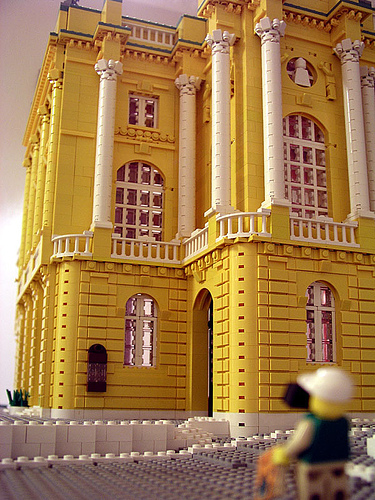 Matija Puzar announced back in September that he had completed his LDraw design for a LEGO version of the Croatian National Theater. As impressive as the design may have been, the actual creation is just plain gorgeous. The capitals on the columns are particularly beautiful. Thanks to Brick Town Talk for pointing me to the real thing. I cannot beleave i’m the first to comment,it’s AWESOME!